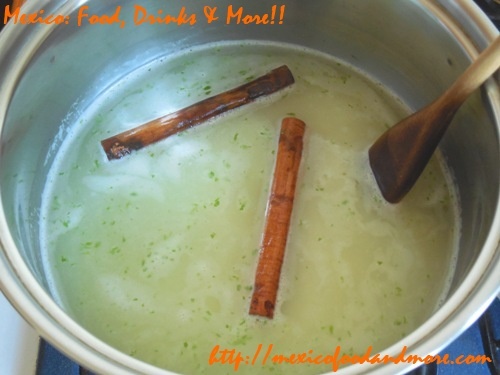 Combine the rice, water, cinnamon sticks, lime zest, and salt in a medium-sized pot. Set over medium-high heat and bring to a boil. 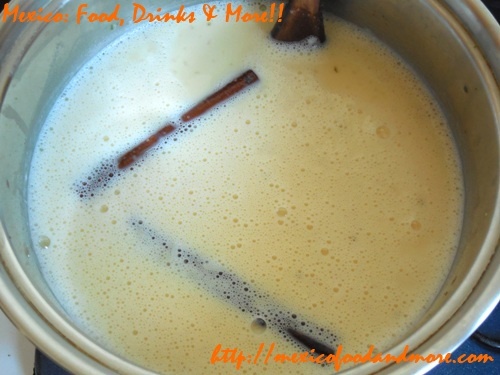 Cover, reduce heat to low, and simmer until most of the water has been absorbed. 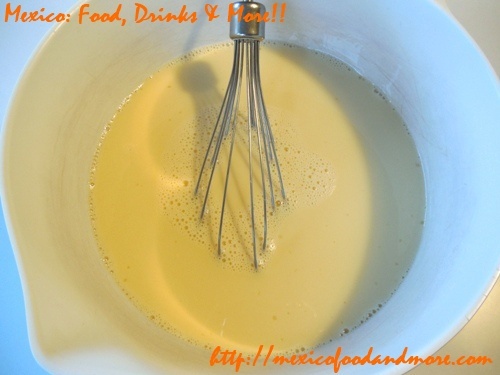 Meanwhile, beat the egg into the evaporated milk-milk mixture. Add the sugar and beat until dissolved. 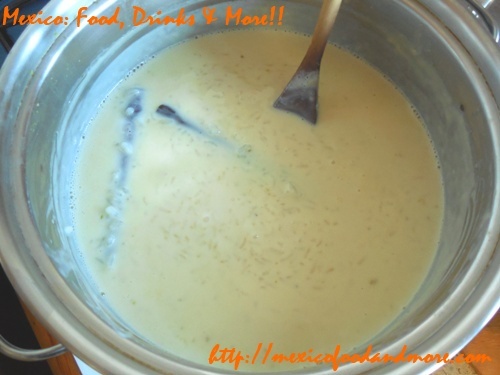 Once the water has mostly been absorbed into the rice, stir in the milk-egg mixture and turn the heat up to medium or medium-high, stirring frequently. Continue to stir until it thickens. Add the vanilla extract and stir to combine. Pour the pudding into a large bowl and allow to cool. Then cover and refrigerate until well-chilled. It will continue to thicken a bit more as it cools. 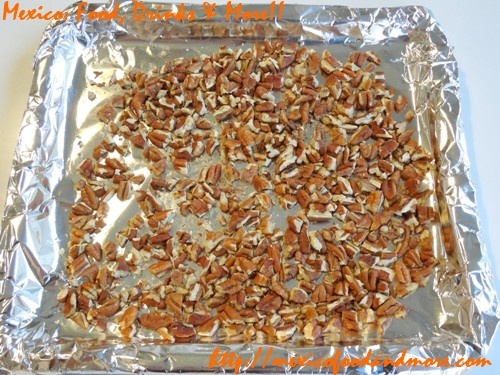 While the rice pudding is chilling, arrange the pecan pieces on a foil-lined cookie sheet or broiler pan. Place them under the oven broiler until lighty toasted, and set aside to cool. 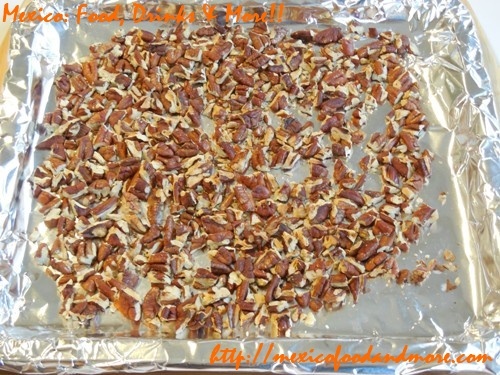 If serving the rice pudding later, store the pecans in an airtight container until ready to garnish the pudding. 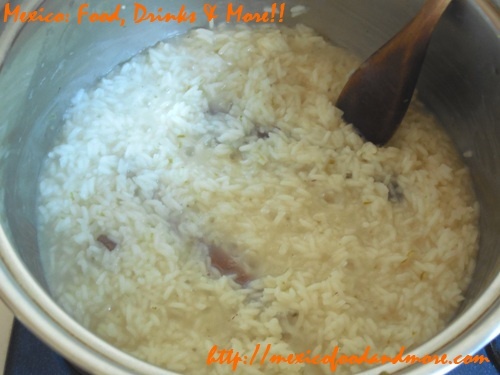 Additionally, as an option, you can soak the raisins in some dark rum prior to garnishing the arroz con leche, but the traditional recipe is sans alcohol. 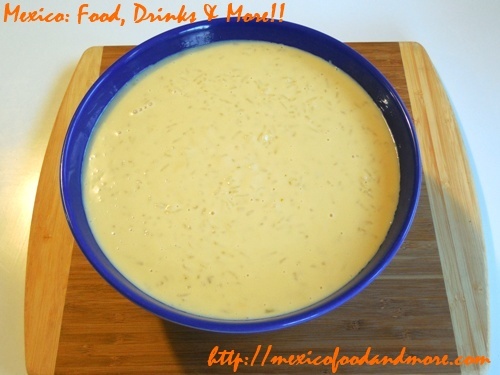 When chilled, serve the arroz con leche in small bowls as individual servings. Some enjoy it “pure,” without any garnish. Others prefer stirring in some of the toasted pecans, raisins, and/or sprinkled ground cinnamon. 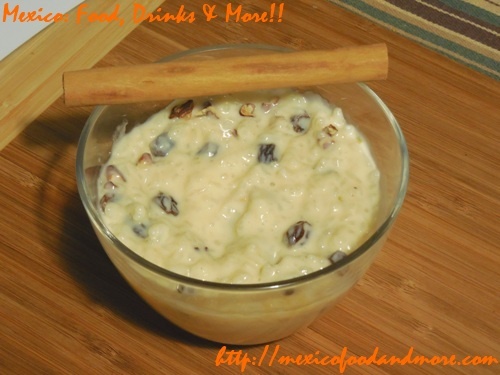 To each his own, but you’ll definitely love this Mexican rice pudding! This entry is filed under Desserts, Traditional Dishes. You can follow any responses to this entry through the RSS 2.0 feed. You can leave a response, or trackback from your own site.